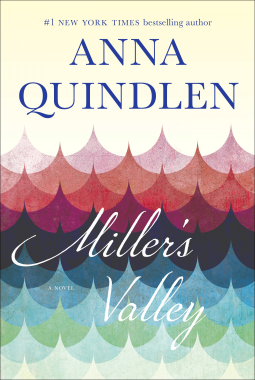 All it took was seeing Anna Quindlen’s name on the offer from Net Galley for me to click the “request” button for Miller’s Valley. Coincidentally, I read the Feb/March issue of AARP Magazine as I neared the end of the book. It published a short blurb where Anna describes her fascination with Charles Dickens’s David Copperfield. She admires his span of coverage from child to adult, his details that built a world, and his social consciousness – exactly what I had found in her book. Against that predictable backdrop, Mimi Miller’s story unwinds from the child eavesdropping on her parents through her adulthood. The theme of loss – one brother to a richer life and another to prison, a best friend to California, the cattle to pasture loss, her father to a stroke, and the land to the water – threads its way to a new normal. If you, like me, are already an Anna Quindlen fan, Miller’s Valley will not disappoint. If you haven’t read her yet (the only reason I can imagine that you are not a fan), this book is a good place to start.